This is the principal mounting method for most cupola installations. Weather vanes are traditionally located at the peak of the cupola in a prominent location. 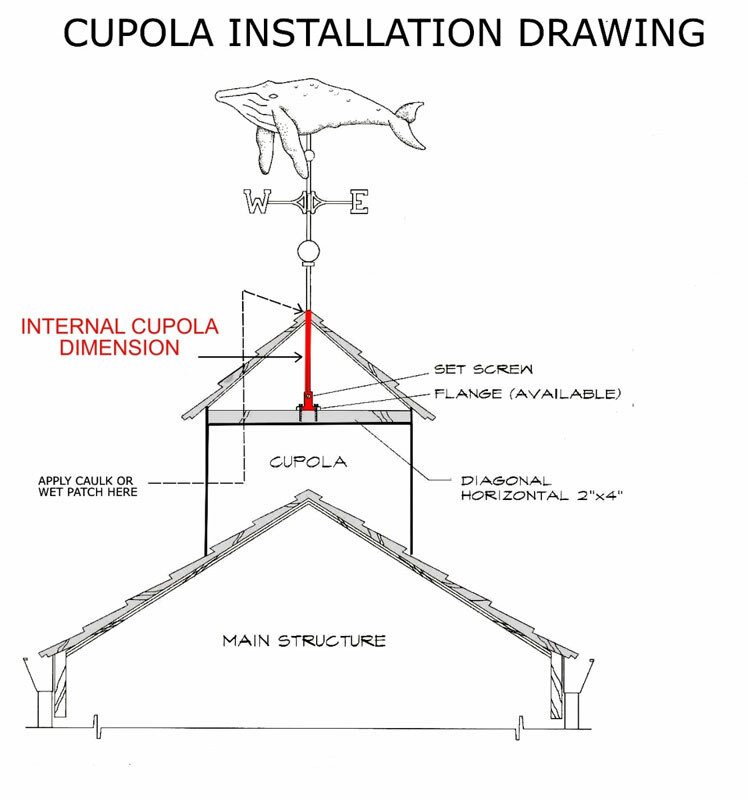 Most cupolas have internal access (for ventilation or maintenance purposes) and a cross brace as a structural support onto which the spire (vertical installation rod) can be mounted using a cupola flange. If you are in construction now, we can send out the appropriate hardware as soon as the order has been placed for installation prior to the roof being sealed off. The sculpture piece will follow as soon as it is completed and slide down over the already installed weathervane hardware. 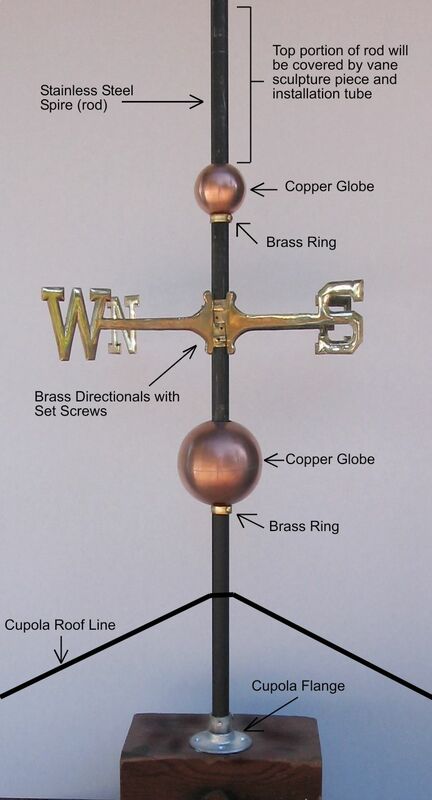 Note: If, at all possible, this is the method we recommend for installing a weathervane on a cupola. 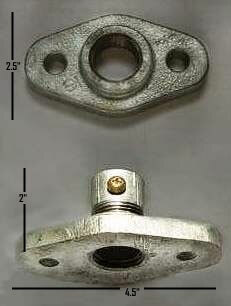 It is typically stronger and less expensive than using an optional Two-Leg or Four-Leg Bracket. We have worked with Country Classics Cupolas in the past and our customers have reported very good results. We have not worked directly with the cupola manufacturers listed below, but, have talked or corresponded with them, visited their websites and liked what we saw.